Let’s set the record straight. Craig Jones wasn’t a world-beater prior to ADCC – he was good but he wasn’t tapping guys like Leandro Lo and Murilo Santana. We all know now it wasn’t luck. And he didn’t use brute strength or any super power, he used pure skill and check-mated both of them. So if a guy like Craig could “shock the world” and beat the best - then don’t you think that if you learned exactly what he does to set up and finish his triangles, you can catch at least a few of the dudes in your gym who are currently beating you? 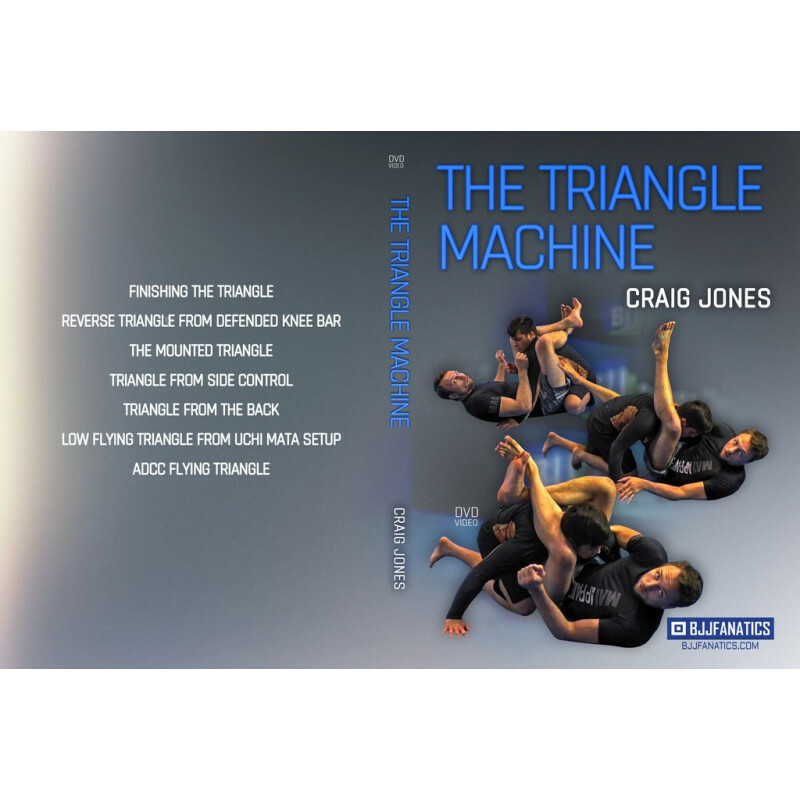 Unless you’ve been living under a rock, you have heard of Australian grappling sensation Craig Jones. Craig went from a garage in the middle of nowhere Australia to superstardom on the podium of EBI, to The ADCC World Championships, and on to becoming the Polaris Middleweight Champion. Although Craig’s rise was fast, it didn’t happen overnight; nor is Craig a one-trick pony. In fact, Craig is not going away anytime soon. He is in the midst of building a legacy as you read this. He is known for his leg attack game, a Z Guard game and triangle game. Craig’s triangle choke series is far and away his A-Game. He submitted over 100 people in competition with his triangle choke alone. Perhaps most notable was in ADCC this past year against Murilo Santana. It may have looked easy. But Craig spent a lot of time in the laboratory to make it look easy. He had to develop and sharpen his triangle choke before going into battle on the big stage. I mean, if you know who Murillo Santana is, he is not an easy guy to submit. You not only need the balls to set up and go for a flying triangle on a guy like him, you also have to know that your triangle will finish him. Because if you can’t seal the deal on the triangle, Murilo is one hell of a guard passer to deal with. The problem today is everyone knows the triangle choke. Everyone is aware of the majority of set ups. So the question remains: How is Craig setting up and finishing the triangle choke when everyone knows it’s coming?